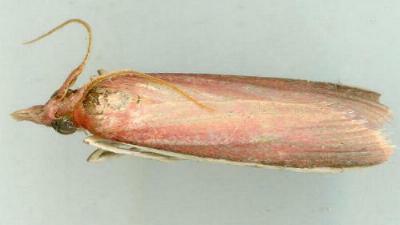 This adult moth has rusty red forewings and white hindwings. The moth has a wingspan of about 3 cms. Volume 18 (1904), pp. 120-121.